Jupiter Jim graduated Phi Beta Kappa from Princeton, majoring in psychology. He has been designing websites since 2000, been a CIW Certified Master Site Designer since 2003 and has been using WordPress exclusively all day, every day since January 2010. He was blessed with a passion for learning and talent for teaching. He has taught hundreds of clients how to use and easily update their WordPress websites with content, video, pictures. 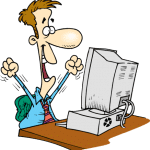 This site is dedicated to teaching everyone from the newbie, the beginner to the intermediate and the expert great information that they can use to expand their online business and expand their life! 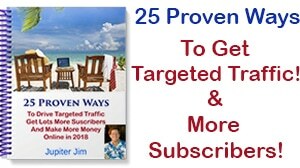 Each month I will be adding at least 4 more video tutorials personally created by myself, Jupiter Jim. Doing weekly webinars teaching WordPress and Online Marketing. Have guest presenters share their knowledge and experience and expertise on the weekly webinars. Adding some downloadable and useful PDF's. Adding inspirational and motivational material for the online entrepreneur, small and home-based business owner. Adding a forum where questions can be asked and answered by myself and members of the community. Adding a more sophisticated customer support ticket solution to make sure all questions get answered on time. I look forward to helping you make your business dream a reality. Jupiter Jim has been using computers for 20 years. He has been a web designer since 2000 and has been a Certified Internet Webmaster (CIW) Master Designer since 2003. He is an A+ Certified technician in computer maintenance and repair. He is a certified life coach with a degree in psychology from Princeton University where he graduated Phi Beta Kappa (top 10% of his class). He has been building blogs and websites exclusively with WordPress since January 2010 and he’s been using the Thesis Theme since March 2010.